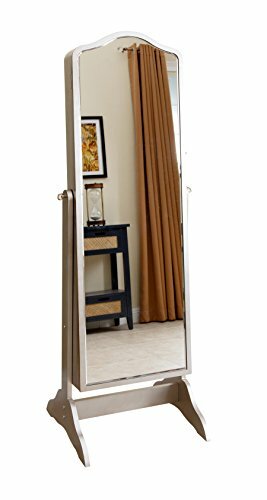 When you’re looking for a convenient solution for organizing your jewelry in a limited space, such as your room, then Standing Mirror Jewelry Armoires are the answer to your searches. They are truly versatile, due to their functionality and look. Although you can use them in a jewelry store, these stands are ideal for home use. 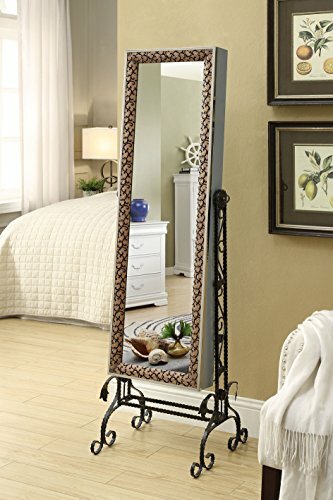 In our store, you will find a wide selection of standing mirror jewelry armoires. They differ in matters of material, style, color, size, shape and features they offer. However, some of the advantages you get from them are common for all. These include the opportunity to keep your jewelry collection organized, and the chance to check yourself out before leaving your home. Take your time to browse through our selection of standing mirror jewelry armoires. You’ll discover that they have plenty of features that allow you to take advantage of a small storage space, which you can turn into a truly treasure-holding place. 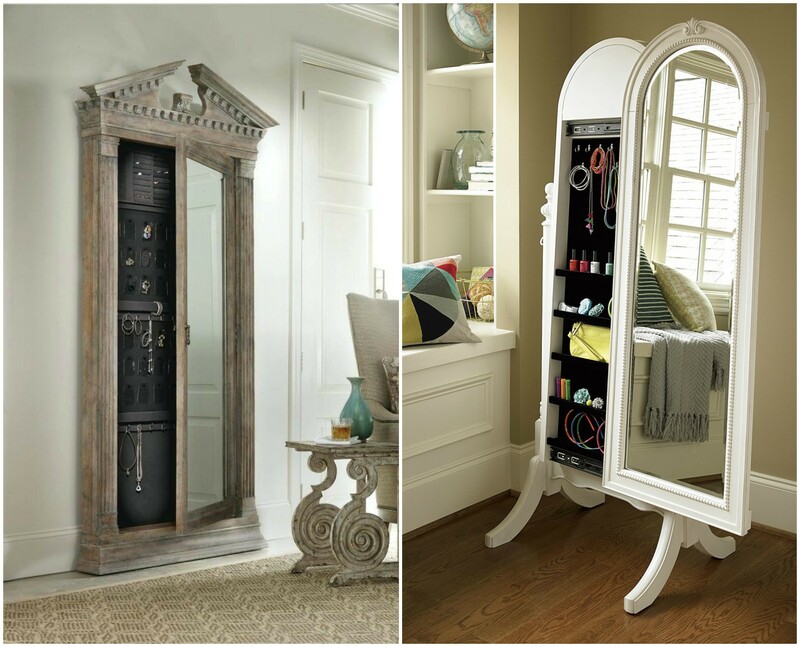 But let us tell you a few things about the standing mirror jewelry armoires. Although they vary in features, they also have some things in common, regardless of their style. Basically, these armoires come with a spacious interior, which is usually divided into different compartments, to allow you to organize your jewelry and accessories. Some of them are also provided with hooks, which are excellent for hanging necklaces, for example. On the exterior, these armoires are adorned with a mirror. This allows you to check yourself out while trying on various jewelry from the armoire. In what regards the features, some of them can be mounted on the wall or back of the door, while others are floor-standing. Now, when you’re looking for the armoire to use in your home, you should consider the size, shape, color, style and features, to make sure you get the one that caters to your specific needs.